She is just one of the new Fairwees designed by Amy Young, and you can find all the Fairwees here at All That Scraps store. 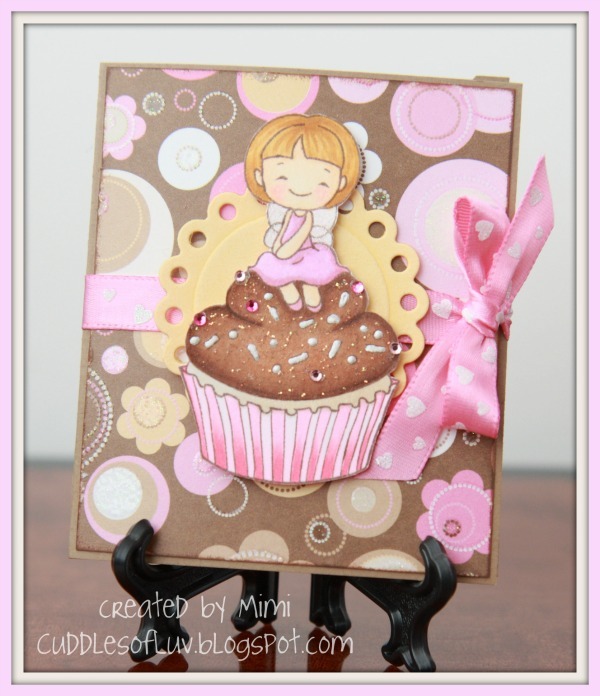 This sweet fairwee was fussy cut and her cupcake is adorned with pink gems and liquid pearl frosting! Found this tutorial for a treat holder... alter the measurements a bit... now she's the perfect size for this yummy Ghiradelli chocolate treat! the sentiment is stamped in black ink, then used white gel pen to highlight. Go check out the ATS blog to see what the team has to share! and be sure to see the NEW February releases here... which are now available at the ATS store... and I'm playing along with ATS Weekly Wednesday challenge... this week is Anything Goes! This is so yummilicious cute. The treat pocket inside is awesome. Have a great day and weekend. What a yummy cupcake and my fav frosting too... LOL! great sprinkles.... 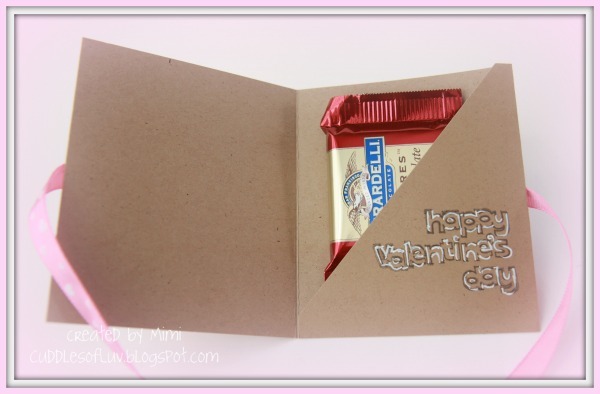 Cute idea with that candy bar inside...TFS! Aw, she's adorable. And that cupcake looks so yummy! Sure that's not real frosting and sprinkles? :) A great choice in images, but I agree there are just too many in the ATS store! Thanks for sharing and have a gr8 weekend! Oh Mimi, this is just stunning...the cupcake and Josie look so amazing! Beautiful color combo and such a great idea to tuck a li'l something more in a card to give them! LOVE it! Super cute Mimi! 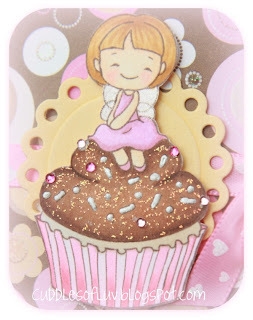 Love the image and the sweet colors! Hi Mimi! This is such a sweet card! Really! Makes me wanna take a bite of the cupcake! You did a great job on this card - love it! Have a fantastic weekend! Sweet card love the image and the colours. Great choccie surprise. Thanks for joining us at papertake weekly. So sweet, Mimi! Love the yummy chocolate inside, too! Mimi this is super cute! I love how you colored the cupcake. It looks so life like. So glad you were able to play along with this challenge!